BEAUTIFUL THICK CARD STOCK: Made with a premium paper, our cards are 300 gsm in thickness, almost double the thickness of our competitors.Self seal Envelopes base on water-based adhesive. 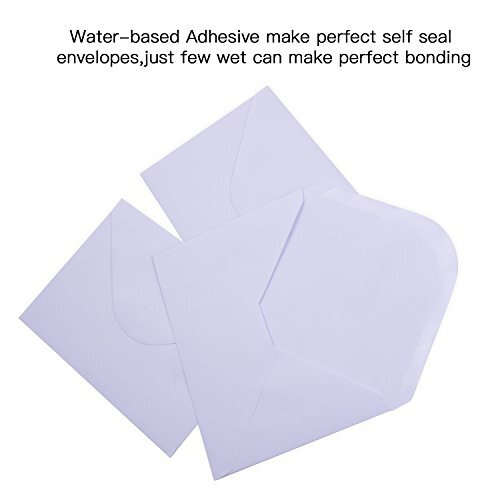 Card size: 4 1/10″ x 5 4/5″ and envelope is 4 3/10″ x 6 1/5″. BULK THANK YOU CARDS: You’ll rarely have to look for the perfect thank you card again, or worse, be stuck without one when you need it! 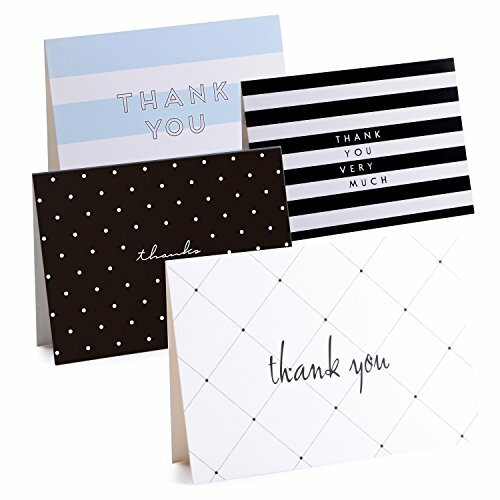 Stock up with a thank-you cards box and save yourself a trip to the store. simple but elegant thank-you cards are boxed in a decorative storage box for easy access and storage. The bulk thank you notes are blank inside so you can include a personal, customized message for any occasion. Always have one on hand for your birthday, graduation, wedding, bridal shower, baby shower, Christmas, and anniversary celebration to show how much your friends and family mean to you. The simple cards can also be used as condolence, sympathy, memorial, or bereavement note cards. 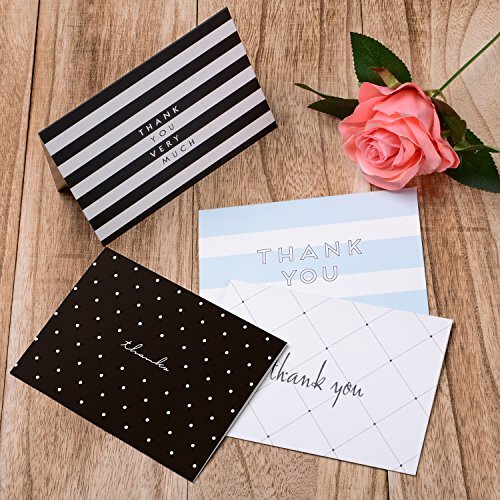 This pack of thanks you cards are perfect for bridesmaids, volunteer, teacher, coach, nurse, and doctor appreciation moments. Small cards are just the right size to add your heartfelt, personalized note. Card Quality: Fine 300 gsm (high-quality business-card stock), matte finish. Packaging: Boxed in a sturdy cardboard box for protected shipping and storage. 30 DAY MONEY BACK GUARANTEE: We’re so confident that you’ll love our cards that we offer a 30 days money back guarantee. Simply send them back to us and we’ll give you your money back.